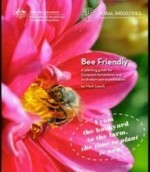 If you are interested in learning more about beekeeping why not join the Beekeepers’ Society of South Australia (BSSA). Here you will find beekeepers of all ages who are passionate about bees and beekeeping, and they are always willing to share information and lend a hand. 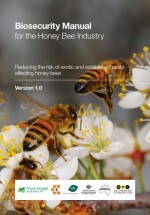 The Biosecurity Manual for the Honey Bee Industry provides information for the industry and producers about biosecurity practices and honey bee pests. A basic guide to some of the skills and practices of bee production. Easy to follow for those new to bee keeping, this book contains step-by-step instructions, diagrams and full-colour pictures. Includes how to maintain hives, use a bee smoker, catch a swarm, remove and extract honey, health and pests in the hive, buying equipment, and working safely with bees. 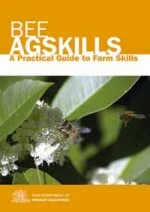 A basic guide to some of the skills and practices of bee production. Easy to follow for those new to bee keeping, this book contains step-by-step instructions, diagrams and full-colour pictures. Includes how to maintain hives, use a bee smoker, catch a swarm, remove and extract honey, health and pests in the hive, buying equipment, and working safely with bees. This guide provides ideas and choices of plants to improve the outcomes for honeybees, including mammals, insects and birds. 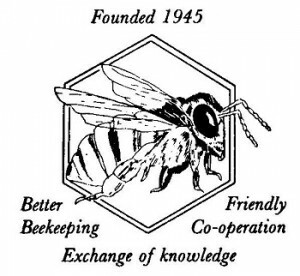 The South Australian Apiarists’ Association Inc. was formed in 1945. It is an association of apiarists in all fields, including honey production, pollination, queen breeding and propolis and pollen collection. 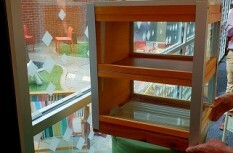 Members include commercial and amateur beekeepers. If you are interested in becoming a member please contact the SAAA. The Monastery, home to the Passionist Community.